The park's context dictated the theme and direction of this project. This mural by ARPI reinforces the Saint Cunégonde Park as an area for relaxation in an island of nature that is both luxurious and serene. 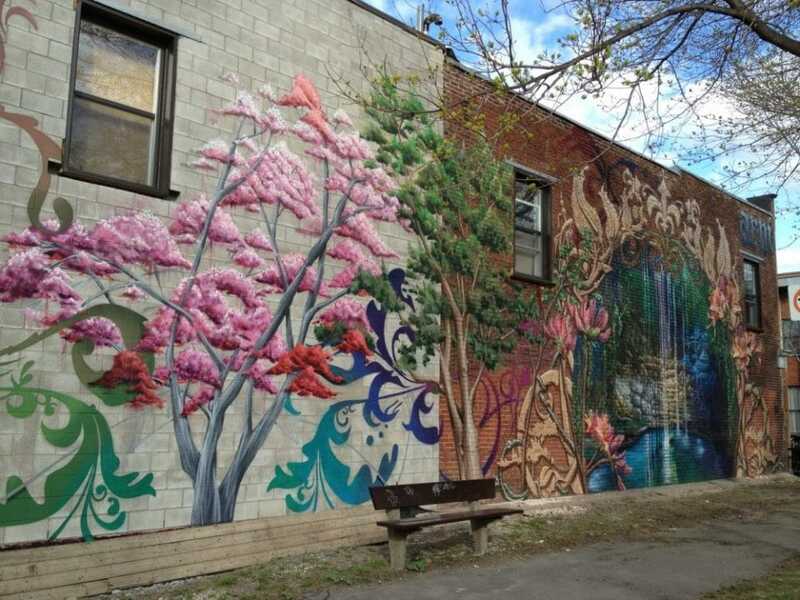 To produce his mural, ARPI took inspiration from the spirit exuding from the neighbourhood and his desire to bring local residents somewhere else.